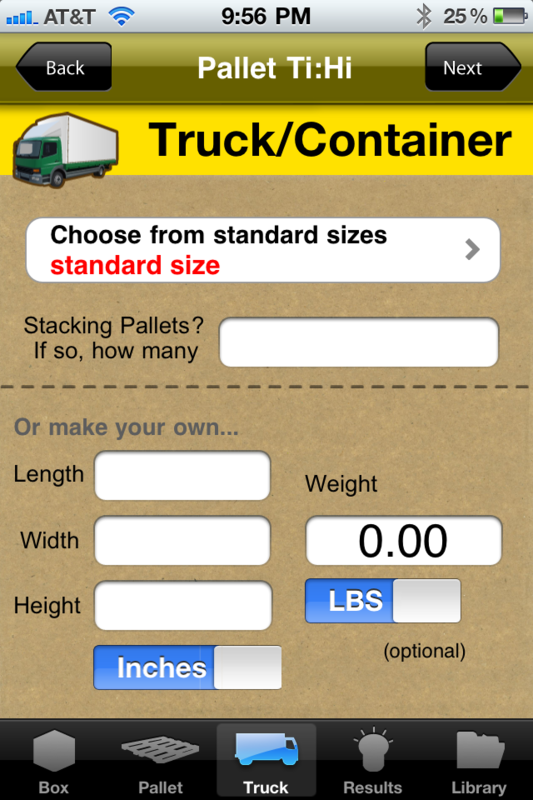 Once you use this app you start to depend on it for every product you design! 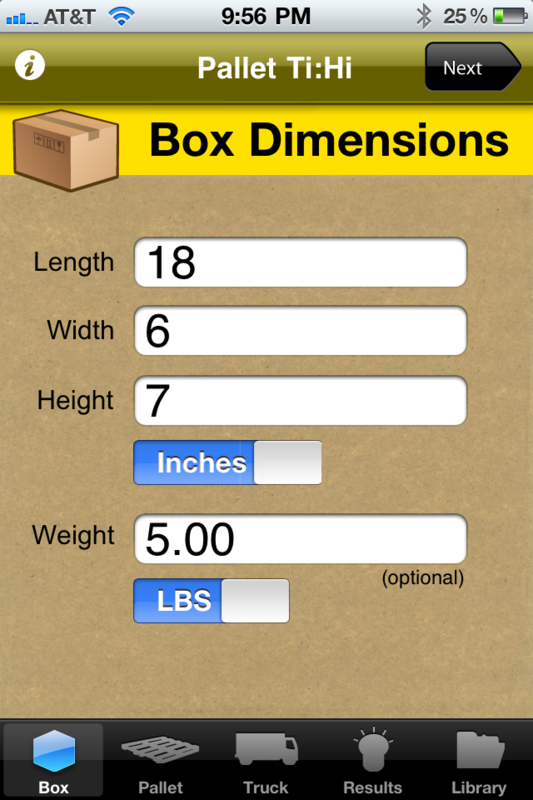 Must have for any package designers and manufactures. 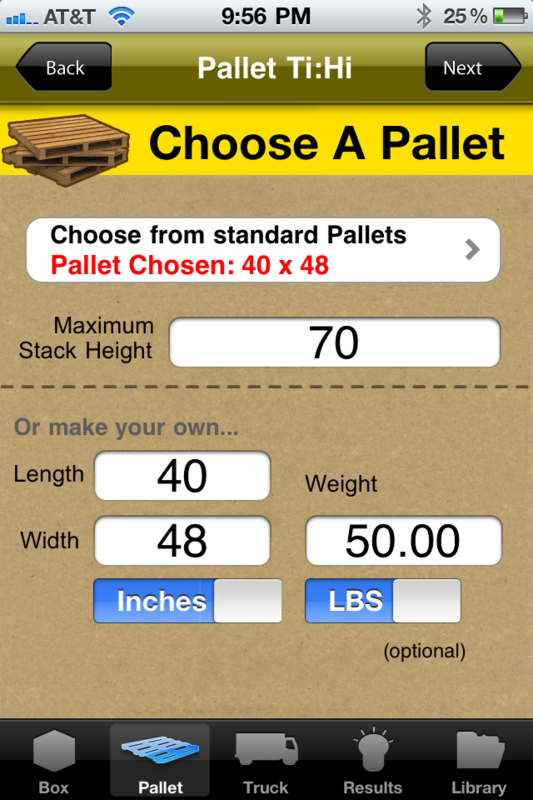 I also love the vector PDF of the pallet results you can email out! So handy for giving it right to my box guy! No more puzzling my pallets together. 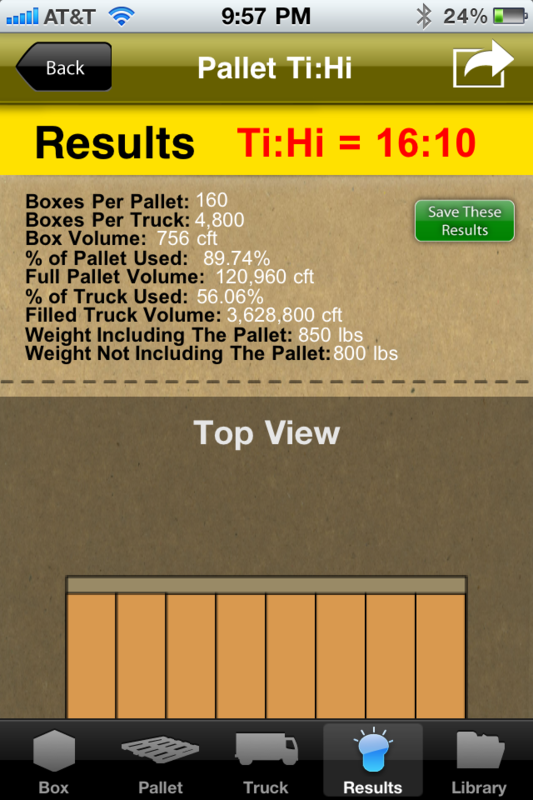 I use this app everyday at work, such a time saver! 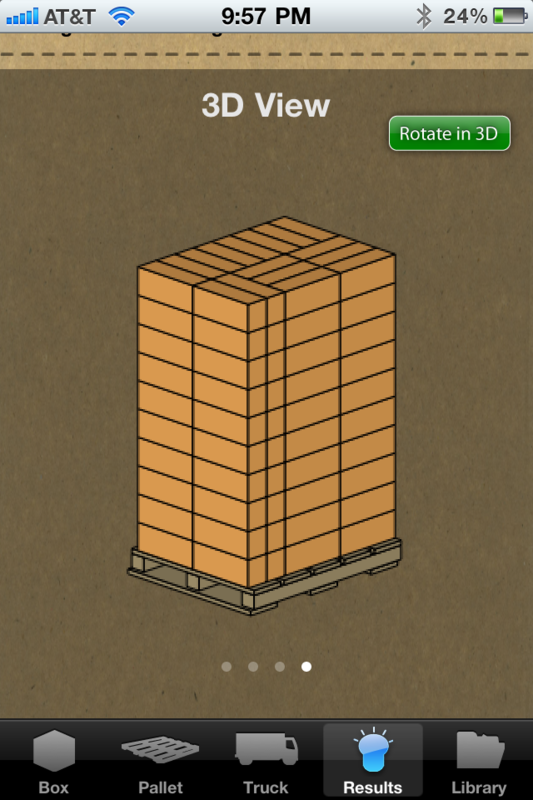 I would recommend this to anyone who ships with pallets! The app is great. I am able to figure out my ti hi’s so easily now! I have been looking for something like this forever! Very convient, saves me lots of time. Really ideal for my product spec sheets we use at work. Cool features lets you email your results in a PDF format with all the specs on it! It’s also so easy to use! I can’t tell you how long I have been looking for an affordable way to figure this out! Thank god for this app, saved me a boat load of time and cash! And results in vector format, AHH designers dream! I am a freight broker and this is exactly what we needed…computer based programs cost thousands and can’t produce the information fast enough…20 bucks! worth every cent!